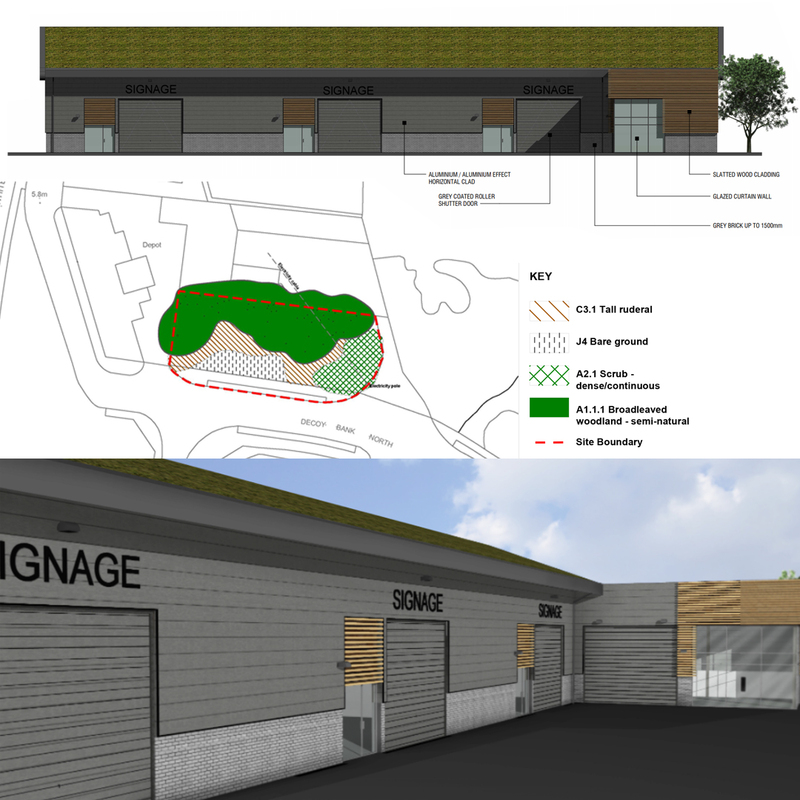 Planning has been approved for the erection of four Class B2 general industrial units at Decoy Bank North in Doncaster. The site is currently an unused plot of land in the wider industrial estate. Working alongside MaxDesign we provided a full Arboricultural survey and carried out a Phase 1 Habitat Survey and Preliminary Ecological Appraisal. The buildings feature wooden cladding and green roofs providing a net gain for biodiversity. Please get in touch if you require Tree, Ecology or Landscape information to support a planning application.